This is an exclusive arrangements for violin and piano of EASY skill level from the original composition by Miscellaneous. This title is available as instant sheet music download. Contents: oh hanukkah, o hanukkah, oh chanukah, o chanukah, maoz tsur, ma oz tsur, rock of ages, okh bin a kleyner dreydl, i have a little dreidel, little dreidel, sevinon, sov, ner li, i have a candle, manurah, candle, mi yimalel, who can retell, al hanisim, thank you for the miracles, birchat, chanukah blessings, hanukkah blessings, banu choshech legaresh, we come to chase the dark away, etc. Instantly downloadable sheet music by Linda Marcus for orchestra (Special) of MEDIUM skill level. Alle Notenausgaben von Season Of Joy, Bb Clarinet part zum Herunterladen bei VirtualSheetMusic. Alle Notenausgaben von Season Of Joy, Cello part zum Herunterladen bei VirtualSheetMusic. Alle Notenausgaben von Season Of Joy, Percussion part zum Herunterladen bei VirtualSheetMusic. Alle Notenausgaben von Season Of Joy, String Bass part zum Herunterladen bei VirtualSheetMusic. Alle Notenausgaben von Season Of Joy, Violin part zum Herunterladen bei VirtualSheetMusic. Instantly downloadable sheet music by Traditional Hebrew Folk Song for accordion of MEDIUM skill level. Alle Notenausgaben von I Have A Little Dreydl zum Herunterladen bei VirtualSheetMusic. Alle Noten von Traditional Hebrew Folk Song zum Herunterladen bei VirtualSheetMusic. This is an exclusive arrangements for cello and piano of EASY skill level from the original composition by Miscellaneous. This title is available as instant sheet music download. Contents: oh hanukkah, o hanukkah, oh chanukah, o chanukah, maoz tsur, ma oz tsur, rock of ages, okh bin a kleyner dreydl, i have a little dreidel, little dreidel, sevinon, sov, ner li, i have a candle, manurah, candle, mi yimalel, who can retell, al hanisim, thank you for the miracles, birchat, chanukah blessings, hanukkah blessings, banu choshech legaresh, we come to chase the dark away, etc. Instantly downloadable sheet music by Stephen Schwartz for choir and piano (TBB) of MEDIUM skill level. Alle Notenausgaben von The Chanukah Song (We Are Lights) zum Herunterladen bei VirtualSheetMusic. Alle Notenausgaben von Hanukkah Songs Collection (Chanukah songs) bei VirtualSheetMusic. 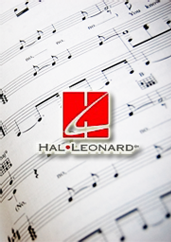 Alle Noten von Miscellaneous bei VirtualSheetMusic. Instantly downloadable sheet music by Miscellaneous for piano, voice or other instruments of EASY skill level. Contents: oh hanukkah, o hanukkah, oh chanukah, o chanukah, maoz tsur, ma oz tsur, rock of ages, okh bin a kleyner dreydl, i have a little dreidel, little dreidel, sevinon, sov, ner li, i have a candle, manurah, candle, mi yimalel, who can retell, al hanisim, thank you for the miracles, birchat, chanukah blessings, hanukkah blessings, banu choshech legaresh, we come to chase the dark away, etc. Instantly downloadable sheet music by Cristi Cary Miller for choir and piano (2-Part) of MEDIUM skill level. Alle Notenausgaben von Hanukkah, Oh Hanukkah zum Herunterladen bei VirtualSheetMusic. Alle Noten von Cristi Cary Miller zum Herunterladen bei VirtualSheetMusic. Instantly downloadable sheet music by Cristi Cary Miller for choir and piano (3-Part Mixed) of MEDIUM skill level. Instantly downloadable sheet music by George L.O. Strid for choir and piano (2-Part) of MEDIUM skill level. Alle Notenausgaben von Eight Days And Nights zum Herunterladen bei VirtualSheetMusic. Alle Noten von George L.O. Strid zum Herunterladen bei VirtualSheetMusic. Alle Notenausgaben von A Hanukkah Celebration zum Herunterladen bei VirtualSheetMusic. Instantly downloadable sheet music by George L.O. Strid for choir and piano (3-Part Mixed) of MEDIUM skill level. Instantly downloadable sheet music by Cristi Cary Miller for choir and piano (3-Part Treble) of MEDIUM skill level. Instantly downloadable sheet music by Ian Assersohn for choir and piano (SATB) of MEDIUM skill level. Alle Notenausgaben von Light A Candle zum Herunterladen bei VirtualSheetMusic. Alle Noten von Ian Assersohn zum Herunterladen bei VirtualSheetMusic. Instantly downloadable sheet music by B. Wayne Bisbee for choir and piano (2-Part) of MEDIUM skill level. Alle Notenausgaben von Dreydl, Dreydl, Dreydl zum Herunterladen bei VirtualSheetMusic. Alle Noten von B. Wayne Bisbee zum Herunterladen bei VirtualSheetMusic.